AiG ministry friends Tom Meyer of Illinois and Sarah Oakes of Minnesota were married in Jerusalem, Israel on the Day of Pentecost (June 8). Tom is a missionary in Israel and a professor at a Bible college, and he has a personal ministry that tells complete books of the Bible dramatically from memory. Sarah is a missionary with Tom via Wordsower Ministries. 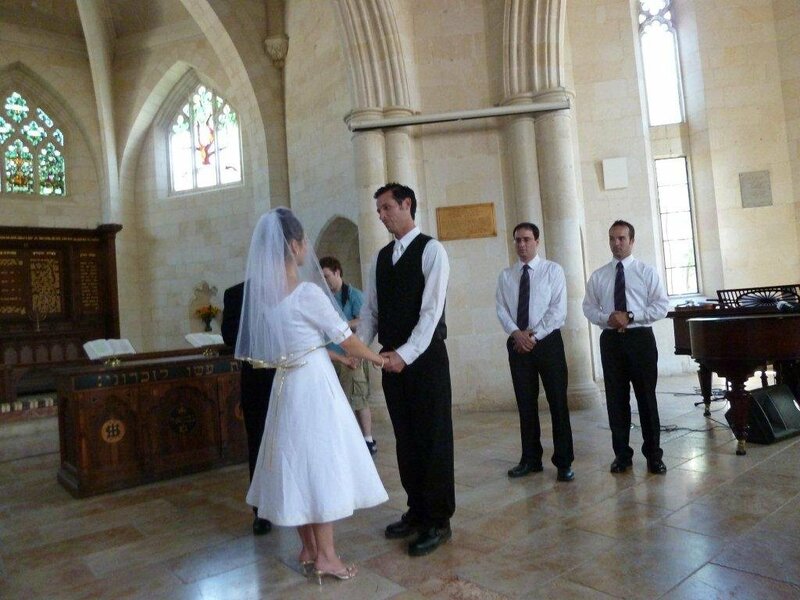 The marriage was in Jerusalem at Christ Church in the Old City (via Jaffa Gate). I have been told that Christ Church is the first Protestant church in Israel (built in the 19th century). Tom will be returning to our Creation Museum next month to recite parts of the Bible from memory on the week of July 18. Here is a blog item I posted last year when Tom was here at the museum. Tom can be reached at www.thescripturecannotbebroken.com. Please pray for this couple as they begin their life together in full-time ministry. Previous Article Observatory Update Next Article An Eleven-Year-Old Has the Correct Answer!